The political economist Albert Hirschman developed the idea that members of an organization can exercise power in two ways—through exit and voice. Market activity is associated with exit: consumers unhappy with the price or quality of service of their current wireless carrier can switch to a rival carrier offering lower rates or better service. Elections exemplify voice: voters can replace a corrupt or ineffective incumbent officeholder with a challenger promising to make the government work for ordinary people. For workers, both exit (joining a new employer) and voice (making demands of a current employer) are important. Despite the pro-worker aims of the framers of the Sherman and Clayton Acts, antitrust law today is an enemy of both exit and voice for workers. For more than a generation, antitrust enforcers have permitted labor markets to become highly concentrated and have also interfered with the efforts of a large segment of workers to build collective power. 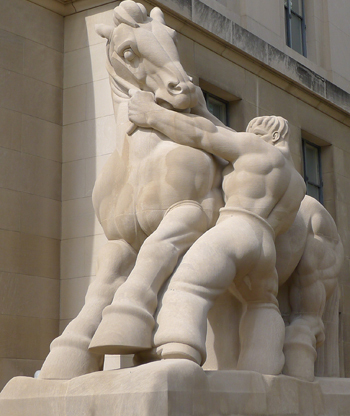 Through their labor market actions, the Department of Justice (DOJ) and Federal Trade Commission (FTC) reinforce, rather than tame, corporate power. To create a progressive, pro-worker antitrust, legislators and policymakers must adopt a radically different vision for the field.